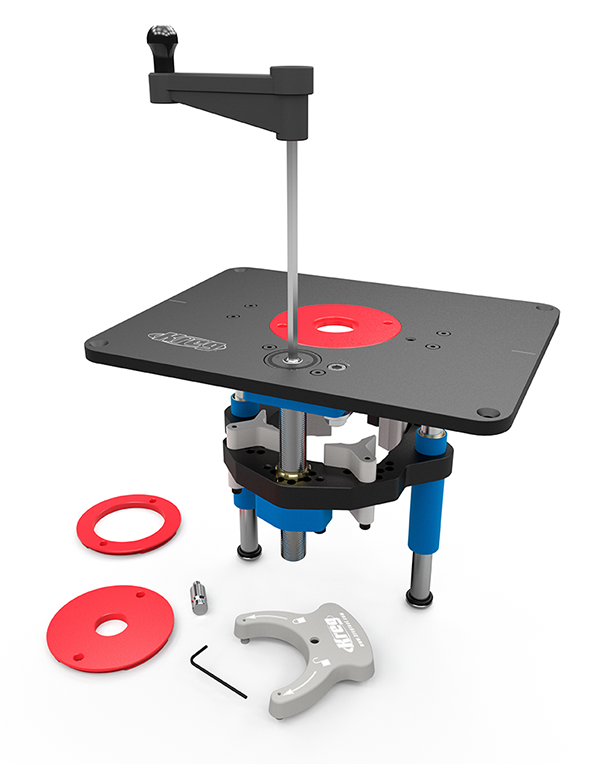 Kreg® is proud to introduce a great new way to take complete control of your table-mounted router: the Precision Router Lift. 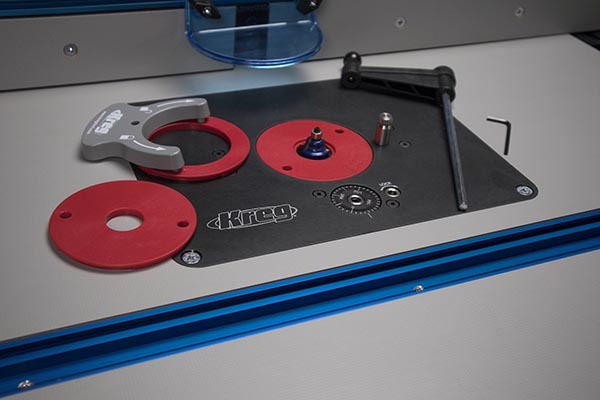 Take complete control of your table-mounted router to make accurate, repeatable, and reliable bit setup adjustments—plus above-the-table bit changes—using the Kreg® Precision Router Lift (Item# PRS5000). 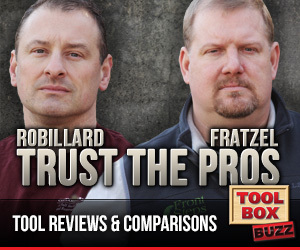 It provides the high-quality results you need to confidently shape raw wood into refined project parts. 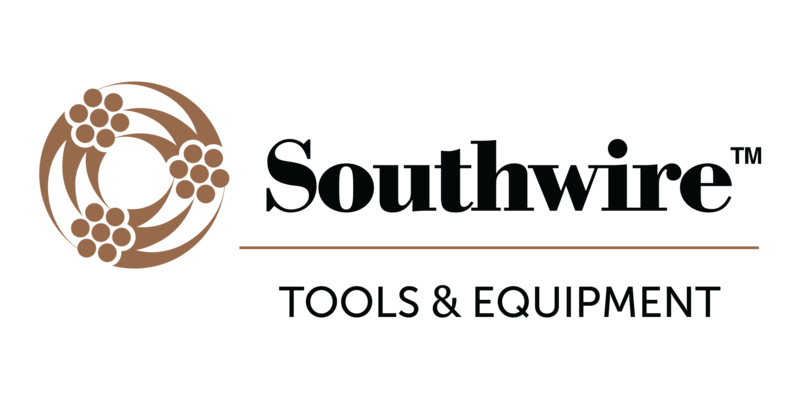 The Precision Router Lift helps you elevate your routing capabilities by providing precise control when making router setup changes or changing bits. The Precision Router Lift holds your router motor—and accepts 20+ popular models—in a high-performance carriage that you raise and lower from above the table. That means no more reaching under the table to make adjustments or change bits, plus vastly improved control over all adjustments, large or small. 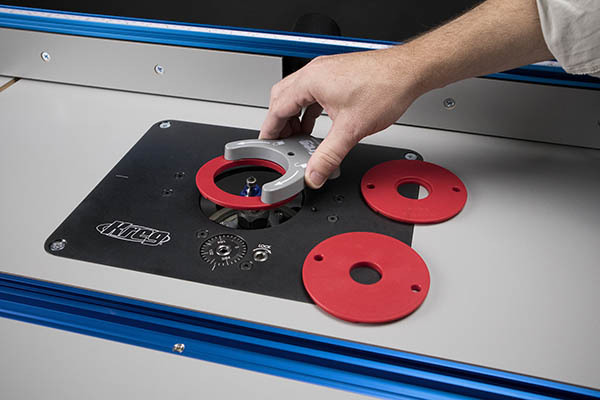 The Precision Router Lift replaces the standard insert plate in a router table (the 3⁄8″ x 91⁄4″ x 113⁄4″ hard-anodized plate fits all Kreg router tables plus many popular brands). Every full revolution of the lift’s included adjustment crank moves the bit 1⁄16″, though much-finer adjustments are possible. 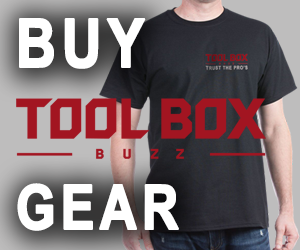 A built-in micro-adjust scale can be zeroed out at any point to establish your baseline bit setup, so you can make exact bit height changes, and readjust to the exact same setting confidently every time for repeat cuts.